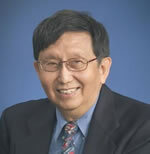 Paul T. P. Wong, Ph.D., C. Psych. It is inconceivable to attain the good life in the absence of good relationships. Our joy is multiplied and sorrow divided a thousand times, when we share our feelings with family and friends. In the final analysis, all of one's strengths and achievements would not mean very much, when one has to grow old and die alone, without a single friend or loved one. The positive psychology of optimal functioning sounds hollow indeed without a healthy dose of meaningful personal relationships. The good life always flows like a river; it is never a dead sea, no matter how rich in deposits! Years have passed since cancer claimed the life of my good friend Tung. But even now, he is still very much part of my life. His kindness and his loyalty during a very difficult period of my life helped restore my faith in God and in humanity. What a faithful friend he was- sticking closer than a brother through thick and thin, and willing to give his all to me without expecting anything in return. My life has become richer, because he remains part of the roots, which continue to provide nutrient and strength, which flow from me to others. In a real sense, he lives in and through me. For nearly 30 years, Tung and I lived in separate parts of the world. We seldom visited each other; nor did we write each other except for the yearly exchange of Christmas greetings. But we both knew that we could always count on each other, regardless of the circumstances. The bond holds, in spite of distance, time, separation and death. What is the most important invisible force that keeps individuals connected? What protects relationships from being broken by the storms of life? What is the cement that solidifies the bond between friends? What is the fuel that drives productivity? Loyalty immediately comes to my mind. But what is loyalty? Where does it come from? Intuitively, we know that it is more steadfast and sturdier than feelings of love. It is even broader than friendship, because it is possible to have loyalty without friendship, such as loyalty to one's government or organization. We can always point to a dog and say: "Here is an example of loyalty". Canine loyalty is legendary - How dogs risk their own lives to protect their masters; how they remain faithful in the face of poverty and temptation; and how forgiving they are even when their masters are abusive. Such blind, slavish allegiance may not be an ideal model for human loyalty. But still we can learn some lessons from our four-legged furry friends about what it means to be loyal. The dictionary meaning of the word "loyal" typically includes: (a) Unswerving in allegiance to one's sovereign or government, (b) Being faithful to a person, ideal, custom or organization, which one has an obligation to support; and (c) Being devoted and dedicated to some one to whom fidelity is due. These definitions imply that loyalty is born out of reciprocal relations and mutual trust. It is difficult to remain loyal, when loyalty is not reciprocated. It would be difficult to continue a relationship after the betrayal of a trusted friend. But the heart of loyalty comes from precepts, such as duty and love, which are embedded in some moral philosophy. One may say that loyalty begins with faithfulness to one's own ethical principles. The benefits of loyalty are many. It ennobles the soul, wards off temptations and transforms relationships. It is the guiding light for decisions and actions in a rapidly changing world. It is a commitment of the heart, an exercise of the will, based on the strength of one's character rather than the intensity of emotions. That is why loyalty can buoy us over troubled waters, even when feelings are hurt. Loyalty is the bedrock of all healthy and trustworthy relations; without loyalty, it is impossible for any relationship to survive the inevitable temptations to betray or desert. Loyalty can also be defined by exclusions. To be loyal means that you will never betray a friend's confidence for personal gains, and that you will not abandon a friend even when that association may jeopardize your advancement in the corporate or political world. Definitely, you will not be part of any character assassination directed against your friend in spite of the pressure from your superiors and colleagues. It means that you will not listen to innuendoes and refuse to question your friend's integrity until you have direct confirmation. It also means that you will not give up on a relationship, simply because of some misunderstanding or difficulty. Finally, it means that you will never exploit people's trust or misuse their loyalty. The marriage vow is supposed to be a pledge of mutual loyalty born of love. But loyalty has become rare in today's marriages. I still cannot believe what I heard from a graduate student, who was completing his Ph.D. in clinical psychology at the University of California in Los Angeles. In a casual conversation, when I enquired about his marriage he responded: "I've been married for three years. She is a nurse, working to put me through graduate school. Right now, I am happy with my marriage, but who knows. One day, when she no longer meets my needs, I'm afraid that would be the end of our marriage." I often wonder: Does he know the meaning of loyalty? Is loyalty only applicable to situations beneficial to him? In contrast, consider the example of Ruth of the Old Testament. Ruth's mother-in-law Naomi was from Judah, and she lost her husband and her two sons. Then Naomi said to her two daughters-in-law, "Go back each of you to your mother's home. May the Lord show kindness to you, as you have shown to your dead and to me. May the Lord grant that each of you will find rest in the home of another husband" (vs.8 & 9). Thus, Noami blessed and released her daughters-in-law to return to their own homeland Moab. Basically, she was saying, "Don't stay here and suffer with me. Go and create a new life for yourselves." That seems to be a sensible course of action, since Ruth had already fulfilled her marriage vow and she would receive help from her own folks by returning to Moab. Guess what was Ruth's reply? "Don't urge me to leave you or to turn back from you. Where you go I will go, and where you stay I will stay. Your people will be my people and your God my God. Where you die I will die, and there I will be buried. May the Lord deal with me, be it ever so severely, if anything but death separates you and me" (vs.16 & 17). Ruth's loyalty was extended to her mother-in-law and to her adopted country, regardless of the cost. Her mind was made up and nothing could persuade her to abandon Naomi, who had suffered a series of blows and had lost everything. This is a perfect example of loyalty stemming from sacrificial love and moral duty. Loyalty does not always make economic sense. At times, it seems totally foolish and irrational. But that is the beauty and power of loyalty, because it operates on a higher, spiritual plane. Loyalty sings a different tune, known only to those with an appreciative, faithful soul. It is unwavering faithfulness in good times and bad. It involves the whole person - body, heart and soul. It demands honesty, courage and sacrifice. It reveals one's true character. It is a spontaneous response to trust and kindness. It is selective and reciprocal. It is offered by faith but earned by trust. It is essential for building lasting relationships. It is a key to the good life. It is a building block of a civil society. It is one of essential human virtues. It is an essential aspect of spirituality. Where does the concept of loyalty come from? It depends on the historical and cultural contexts. Loyalty has long been exalted as a virtue in both the East and West, but it follows rather different philosophical traditions. In the East, loyalty is duty-based and relationship-oriented, largely due to Confucius' influence. He emphasizes filial piety (Xiào or Hsiao) as the greatest virtue; it includes obedience to parental authority and serving parents with propriety and affection. Social order and world peace hinge on the practice of filial piety. Loyalty is the equivalent of filial piety in governing the relationship between ruler and ministers. The Chinese character loyalty ( Zhong or Chung) contains two symbols: The top symbol stands for "center" or "middle", while the lower symbol stands for "heart" or "mind." Thus, loyalty means a heart unswerving from the center. 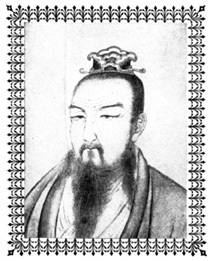 However, Confuscius did not advocate blind obedience and slavish allegiance, because the ruler must possess humaneness (Rén or Jen) and moral rectitude in order to demonstrate that he had received the "mandate of heaven". Often filial piety conflicts with loyalty to the state. Sometimes, one is confronted with the moral choice between taking one's own life or taking other people's lives for what one believes. These conflicts are dramatized in the recent movie Hero. Rightly or wrongly, the protagonist Nameless (Jet Lee) resolves the dilemma of divided loyalties by giving up his plan to revenge for his parents and sacrificing his own life for the greater good - the prospect of creating a united and peaceful country. The Confuscian principle of loyalty has been extended to relationships between employer and employee and between friends. It governs all sorts of relationships outside the family. In China, the word loyalty is often used as part of a compound term including honesty or rightousness. Thus, loyalty is considered the mark of good character and honor, while disloyalty is linked to shame and moral failure. In Japan, the concept of loyalty is closely associated with Bushido, which originally refers to the moral code developed among the samurai class. According to this code of honor, a samurai was bound by duty to die for his lord in battle rather than flee or surrender. Subsequently, Bushido became a national ideal, and the foundatioin for ethical training, but it cannot completely shed its martial connection. Influenced by both Zen and Confuscianism, Bushido emphasizes the virtues of loyalty to one's superiors, unquestioning obedience to duty, and the willingness to sacrifice oneself. The spirit of Bushido contributed to the rise of Japanese nationalism prior to 1945. Since then, Bushido remains an important part of martial arts. For example, one of the goals of Aikido is to develop a sense of loyalty. Aikido also teaches the application of loyalty to daily life, such as being faithful in fulfilling one's duty at school and at work. Similarly, Korean's traditonal thought is based on Confucianism and Buddhism; it is also characterized by loyalty to the country and filial piety to parents. 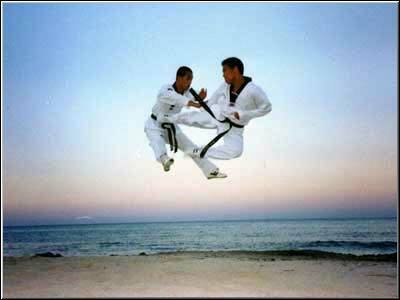 The Taekwondo spirit of martial art representing the tradtional thoughts, emphasizes three virtues: loyalty, filial piety and reliability. This idealogy gives practitioners of Taekwondo the courage of no retreat from fighting for their country. It also inspires them to live a life of self-discipline and devotion to duty. It is tempting for us to dismiss these traditional concepts of loyalty and filial piety as being archaic and feudalistic. However, we may want to ask ourselves this question: What accounts for the strong family ties and friendship bonds in Asian countries? Those of us who have made friends with orientals may have discovered something wonderful about loyalty - its sweet generosity, transparent honesty, and unconditional acceptance. Once we have a handle on the loyalty factor, everything else in relationships seems more manageable. Like an invisible hand, Confucius's teaching continues to shape the Asian personality in terms of valuing good relationships not only for personal development but also for the long-term collective good. However, this invisible hand is no longer detectable in some parts of Asia, where the gods of money and consumerism have driven out the last vestige of traditional values. In the West, particularly Western Europe and North America, the concept of loyalty is love-based rather than duty-based. It is God-oriented rather than people-oriented. Consequently, violation of loyalty results in guilt rather than shame as in the Oriental culture. The spirit of loyalty originates mostly from the Judeo-Christian teaching on being faithful and loyal to the only one true God. "You shall have no other gods before me", so God commanded Isreal through Moses as part of his covenant. The Bible also teaches that God is faithful in keeping his convenant of love, and expects his people to love him back wholeheartedly. All God's commandments can be summarized in two commandments: "Love the Lord your God with all your heart and with all your soul and with all your strength and with all your mind, and Love your neighbour as your self" (Luke 10:27). Jesus Christ fulfilled this twofold loyalty by laying down his own life as a loving sacrifice for others in obedience to God's will. He also challenged his diciples to do likewise: "My command is this: Love each other as I have loved you. Greater love has no one than this, that one lay down his life for his friends" (John 15:12,13). "But I have not found any evidence of such sacrificial love in the church," some readers may protest, "In fact, I even have difficulty developing friendship with Christians." What can I say? What has happened to loyalty? Is it possible that it has been corroded by a conflation of a self-centered theology and indivdualistic culture? The perverted teaching that Christianity means prosperity on earth and a passport to Heaven would hardly inspire believers to be loyal to others. Paradoxically, in parts of the world where Christians are persecuted and their faith is put to a severe test, their loyalty reclaims the presence of Christ and reveals its death-defying and life-transforming power. At the deepest level, loyalty remains a spiritual mystery that is both humbling and inspiring. Another source of traditional values in the West may be traced to the moral code of chivalry. Loyalty is one of the virtues of chivalry. In the modern context, away from the martial activities of medieval knights, chivalry remains a romantic ethic that still appeals to the die-hard idealists. Steen Jensen concludes that "We may never live out a romantic ethic, but it is food as nourishing as any at the table, and a wealth as dear as any coin of the time." There is a touch of sad resignation in his sobering assessment of the spirit of Chivalry, as if he were partaking of the last dinner. In both East and West, down through the ages, the meaning of loyalty has evolved from lofty moral ideals to marketing gimmicks such as "consusmer loyalty", "brand name loyalty" and "loyalty program." Ironically, in trying to use "loyalty" as a marketing tool, corporations may have inadvertently killed the very spirit of loyalty they attempt to cultivate. There has been a sea of change in people's attitude toward loyalty. Many have difficulty with the traditional virtue of loyalty nowadays. When we look at the world around us, all we can see is the opposite of loyalty - deception, manipulation, greed, corruption, and selfishness. The bitter experience of betrayal becomes commonplace. Government and leaders routinely break their promises and lie to people in order to keep their grip on power. Employers no longer value loyalty; even the most dedicated and gifted workers can be let go of in the name of merger or bottom line. Marital infidelity is on the increase, aided by websites that facilitate secret rendezvous. Friends betray each other's confidence to win brownie points from the boss. No wonder people become cynical and suspicious. What do we do when the object of our loyalty appears undeserving and untrustworthy? How do we react when our trust is exploited and our loyalty is betrayed? What is the point of being loyal when we are overwhelmed by the incessant onslaught of dirty tricks and despicable lies in the cheating culture? Another puzzling problem is that loyalty can be either a virtue or vice, depending on which side of the conflict one stands. Suicide bombers are terrorists from the Western perspective, but they are regarded as martyrs and heroes from the perspective of militant Islam. Terms such as Saddam-loyalists or Sadr-loyalists repel us as they immediately conjure up images of brutal killings of civilians. But the same terms symbolize courage and loyalty in many parts of the Arab world. In the post-9/11 world, loyalty has become a controversial concept. Since intense national or religious loyalty has become a source of horrendous human destructiveness, how can we embrace this traditional concept? All these troubling questions have contributed to the development of a more pragmatic, benefit-based loyalty. The basic attitude is: "I will remain loyal, as long as it is good for me", as demonstrated by my friend at UCLA. Such an individualistic, situational approach to ethics has become increasingly common in America. Recently, Alan Wolfe's research team (2001) interviewed a diverse group of 200 Americans and did an additional telephone survey of a national sample. Americans were asked questions such as "Is loyalty still appreciated in America? Can we still be honest in America today?" The results show that even though Americans have rejected the conventional, religious versions of virtues of loyalty and honesty, they are still struggling to lead a good life by developing their own moral compass and following loosely defined situational ethics. The brave new world of moral freedom is primarily based on self-interest rather than immutable moral principles. Is it possible that this benefit-based approach to loyalty is the cause rather than the solution of the problem of disintegration of relations and communities? Is it possible that self-seeking hinders rather than facilitates one's quest for the good life? By definition, the core concept of authentic loyalty is unswerving allegiance based on duty or love. Loyalty purely motivated by self-interest is not really loyalty, because it does not have what it takes to pass the test of trial and temptation. There may be one hundred compelling reasons for throwing loyalty out of the window, but there is one sufficient reason for keeping loyalty - we simply cannot do without it! Aristotle, the father of eudemonia (the good life), once said, "Without friends, no one would want to live, even if he had all other goods." But how can we find a faithful friend who loves us unconditionally without cultivating loyalty? Loyalty is also essential for the success of organizations and corporations, because it keeps people connected, creates a safe and trusting environment, and provides the fuel that drives economic success. Authentic loyalty is even essential for "loyalty programs"; these programs are doomed to fail, if they are based on deception and manipulation rather than trust and caring for the customers. Frederick Reichheld (2001) has documented that successful companies, like Harley-Davidson and Cisco Systems, practice loyalty to build lasting relationships; the principles they practice include: "listen hard and talk straight" and "preach what you practice." Our first duty is to treat others with loyalty, until they prove to be unworthy of our trust. Personally, I am a hopeless "sucker" when it comes to loyalty. No matter how many times I have been burned, I still want to believe that people can be trusted. For example, some one I used to trust as a good friend has betrayed me many times. Each time, I struggled to find a way to justify and forgive him only to find myself betrayed again and again. Finally, I had to come to my senses and conclude that he was not trustworthy and he could not be counted as a friend. But, like a loyal fool, I am still willing to bet my life on loyalty, because it is a rare treasure accessible only to faithful souls. It is worth it, even if I have to be betrayed a thousand times in order to find a loyal friend like Tung. Loyalty can be a powerful source of good and evil. We can avoid the danger of ethnic strife and terrorism, when national or religious loyalty is governed by broader moral principles, such as "love your neighbor" and "do no harm". To the extent that loyalty violates other moral principles, it ceases to be a virtue. Authentic loyalty is never blind passion or destructive ambition; it calls for commitment to the highest moral ideals. Ultimately, we need to ask ourselves whether our loyalty to a leader or a cause contributes to the good life not only for ourselves but also for our neighbors. The audacious quest for true human worth cannot end without finding authentic loyalty. Blessed are those who have discovered it. Life is worth living when there are trustworthy friends and larger causes deserving our loyalty. When everything seems hopelessly bleak, and all hell breaks loose around us, only loyalty remains. By its very nature, loyalty prevails even in the worst imaginable circumstances. Yes, we can still realize the good life even in the midst of horror and terror, when we have found a faithful friend, who will never leave us, nor forsake us; and that is no small miracle! Don't you want to cultivate loyalty as a priceless, precious pearl? Reichheld F. F. (2001). Loyalty rules! How leaders build lasting relationships. MA: Harvard Business School. The Bible. New International Version. Grand Rapids, MI: Zondervan Bible Publishers. Wolfe, A. (2001). Moral freedom: The search for virtue in a world of choice. W. W. Norton.